(18/P046) TRENTON – Recreational anglers and those new to the pastime can try their hand at freshwater fishing during a statewide challenge and Free Fishing Day, both on Saturday, June 9, the Department of Environmental Protection announced today. 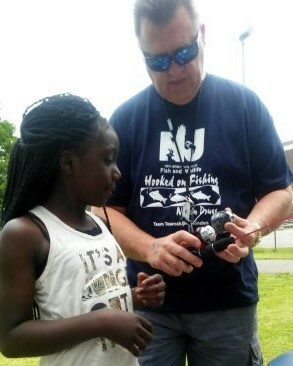 The DEP’s Division of Fish and Wildlife’s Hooked on Fishing – Not on Drugs Program is hosting the Youth Fishing Challenge statewide to introduce families to New Jersey’s outstanding freshwater fishing and to encourage children to avoid drugs, alcohol and tobacco by pursuing fun activities. The free event will be held rain or shine. The Hooked on Fishing – Not on Drugs Youth Fishing Challenge is geared to participants age 20 and younger. There are 24 challenge locations in 13 counties. Rules, age requirements and event times will vary by challenge location. Winners are eligible to receive prizes for the fish they catch and must be present at the end of the event to claim prizes. Parents and guardians are encouraged to enjoy fishing during the challenge but are ineligible for prizes. The statewide Free Fishing Day allows anglers of all ages to fish on June 9 without having to buy a license or a trout stamp. Other regulations, including size and daily catch limits, will remain in effect. A second Free Fishing Day is scheduled Oct. 20. Trout fishing will be especially exciting with nearly 607,000 fish added to waterways during the recently completed spring trout stocking season. Many fish remain available in trout lakes and other waterways in the northern section of the state. 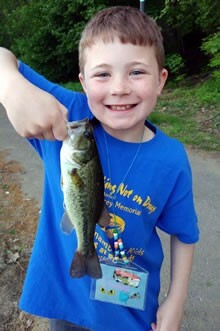 Hooked on Fishing – Not on Drugs is an interdisciplinary, hands-on youth fishing education program for school-aged children sponsored by the Division of Fish and Wildlife. The goal of the program is to redirect youth from the temptation of using alcohol, drugs and tobacco by getting them involved in socially positive activities such as fishing, learning about the importance of clean water and supporting community service initiatives through stream cleanups and planting trees. Also on June 9, the city of Trenton is partnering with DEP to host its Youth Fishing Derby from 9:30 a.m. to 1:30 p.m. at Stacy Park in Trenton. The free event will be held rain or shine and is open to Trenton youth in grades 2 – 8. Each child must register in advance to compete in the Trenton derby and be accompanied by a parent or adult guardian. Trenton’s fishing derby includes a 60-minute fishing derby competition with trophies along with fishing instruction and open fishing for youth; interactive displays, equipment and vehicles related to water quality and aquatic habitats; and free food and drinks for children.